You can create a React app by Rekit with one command line with no configuration needed. The app is designed to be scalable, testable and maintainable so that it meets the requirements of a real-world application. 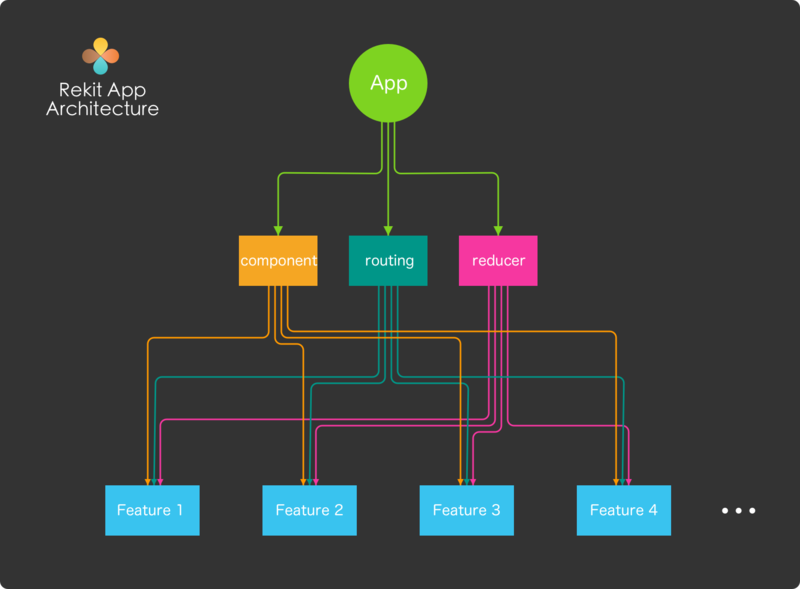 One of the key concepts of Rekit is dividing a large app into small pieces called features. A feature is some capability of an application. It&apos;s small and well decoupled, so it&apos;s easy to understand and maintain. You can also read the introduction at: https://medium.com/@nate_wang/feature-oriented-architecture-for-web-applications-2b48e358afb0 . Each feature is a much smaller &apos;app&apos; which is easy to understand. A large application is composed by many such small features. As the above picture shows, Rekit creates an application with a special folder structure. It groups application logic by features. Each feature contains its own components, actions, routing config etc.